For more information and explanation concerning the parameters within the CHGSNMPA command, see the IBM Knowledge Center. If SNMP is not already active on your system, after you run the CHGSNMPA command, you need to run the command, STRTCPSVR *SNMP. The SNMP agent will start at the next IPL. If you need it to start sooner than that, you must first start your IBM i agent. Otherwise, the MM.SNMP job will fail. We supply a company registration MIB file (ccssreg.mi2) which will register CCSS as a valid provider of SNMP traps to the host. This file needs to be loaded and incorporated onto the customer’s host SNMP system. A copy of this file can be found under Appendix 1 – Registration MIB below. This changes the way the EMC software performs in that it will run the MMTRAP command instead of sending an FTP record (no EMC record needs be selected for this to work). The MMSTRMTR command will now submit a new job to run in the QSYSWRK subsystem. This job, MM.SNMP, controls and manages the sending of all SNMP traps on each system. We supply a QMM MIB definition file (ccssmm.mi2) which defines the layout of the fields we are sending. There are twenty-six fields in total. This file needs to be loaded and incorporated onto your host SNMP system. 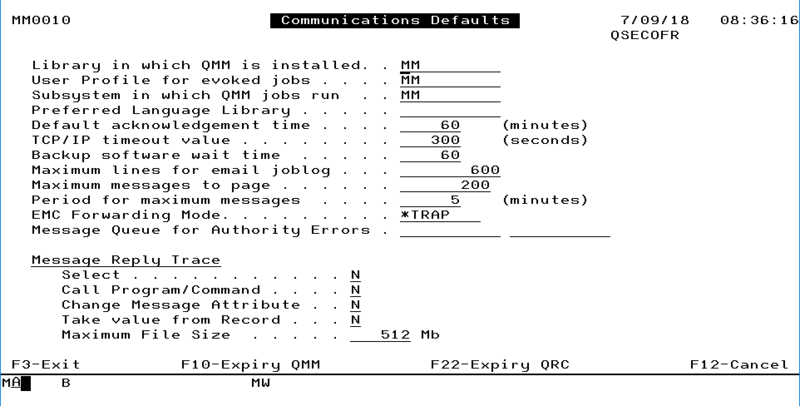 A copy of this file can be found under Appendix 2 – QMM MIB below. QSystem Monitor works in a different way, instead of sending information from the IBM i as with QMessage Monitor, it requires an SNMP host to ‘pull’ information. The base product has been changed so that the last collection made by MON020C is stored in a user space MONSNMP in library MSMTEMP on all systems (overwritten each time a collection is made). The MONBCK command submits a job to run in the QSYSWRK subsystem. 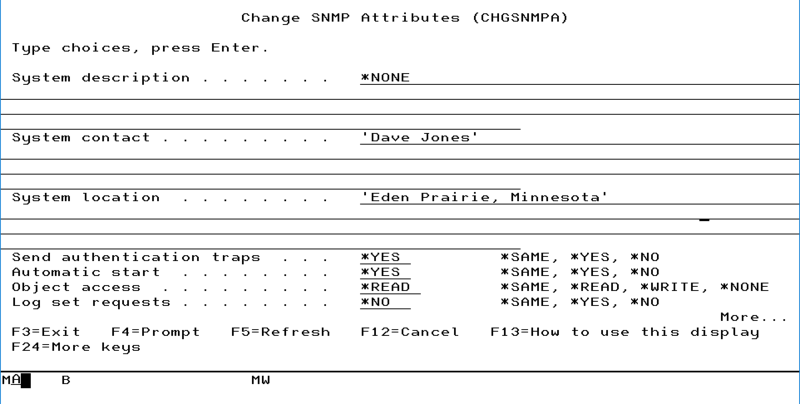 This job, MON.SNMP, controls and manages the sending of all SNMP traps on each system. Now all you have to do is to set up your enterprise system to ‘pull’ the information from the required IBM i system. We supply a QSM MIB definition file (ccssmsm.mi2), which defines the layout of the fields we are sending. There are fifty-seven fields in total. This needs to be loaded and incorporated onto your host SNMP system. 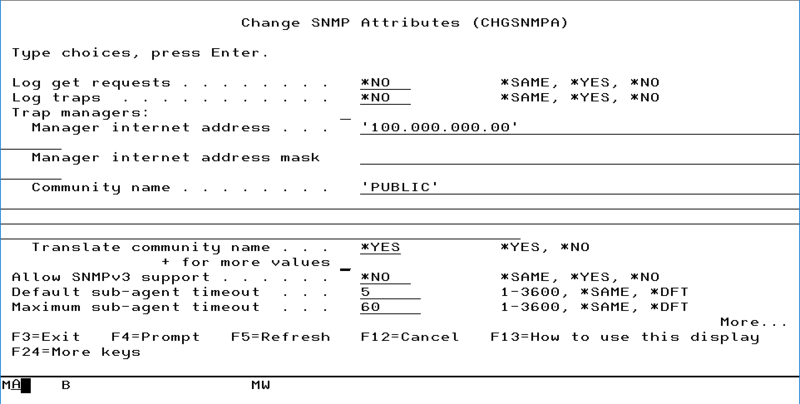 A copy of this file can be found under Appendix 3 – QSM MIB below. When you create new or modify definitions via the Online Monitor, you also need to notify your EMC system of these changes. You can do this by utilizing the Export as MIB option from the Tools menu on the Online Monitor. The saved file needs to then be loaded and incorporated onto the your host SNMP system. 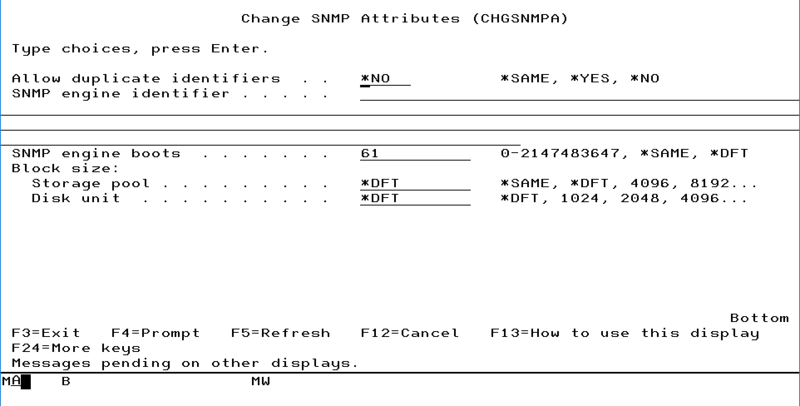 An extract from this file can be found under Appendix 4 – QSM MIB User Defined (extract) below. "The CCSS (Europe) Ltd central registration module"
"The system on which the message was issued"
"The first level text of the message"
"The internal message reference, or handle"
"The severity of the message, 0 being informational only"
"The Accounting Code of the job that issued the message"
"The User who Acknowledged the Message"
"The QMM Authority List for this message"
"The Default Reply from the message description"
"The Group Profile of the job that issued this message"
"The Name of the Job that issued this message"
"The Name of the User for the Job that issued this message"
"The Number of the Job that issued this message"
"The Date the message was issued (YYMMDD)"
"The Time the message was issued (HHMMSS)"
"The ID of the message"
"The Name of the message file for this message"
"The Message File Library for this message"
"The Message Queue to which this message was issued"
"The Library in which the Message Queue resides"
"The Date on which the reply was entered (YYMMDD), or 0"
"The Time at which the reply was entered (HHMMSS), or 0"
"The User who replied to the message"
"The Reply to this Message"
"The Name of the Support Group assigned to this Message"
"Fields giving information about an iSeries Message"
"A new message has been forwarded by QMessageMonitor"
"System ASP Disk Used (%)"
"Active to Wait Transitions per second, 1 Decimal"
"Wait to Inel Transitions per second, 1 Decimal"
"Active to Inel Transitions per second, 1 Decimal"
"Machine Pool Faults per second, 1 Decimal"
"Non-Database Faults per second, 1 Decimal"
"Disk Requests per second, 1 Decimal"
"Average Response Time in seconds, 1 Decimal"
"Total Interactive Transactions this interval"
"Length of this interval in seconds"
"Count of Active Interactive jobs"
"% of CPU used by Interactive Jobs, 2 Decimals"
"Average CPU Seconds per Transaction, 1 Decimal"
"Count of Active Jobs in the system"
"Count of active Batch Jobs"
"User Data element 1, 2 Decimals"
"User Data element 2, 2 Decimals"
"User Data element 3, 2 Decimals"
"User Data element 4, 2 Decimals"
"User Data element 5, 2 Decimals"